More than 160 participants attended Healthy Central Florida’s (HCF) third annual Health Innovation Grants Workshop, many hoping to capture one of HCF’s mini-grants—totaling $25,000—for creative ideas to improve community health. Grants will be announced in late June. 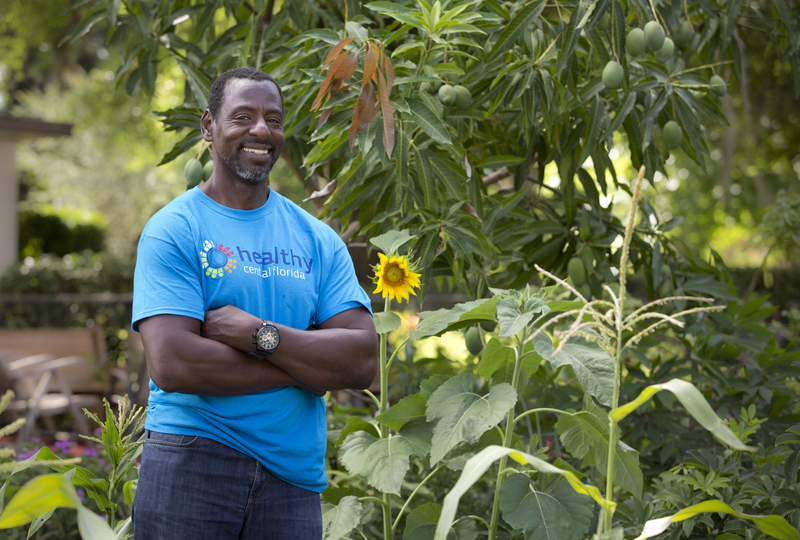 Attendees were treated to an all-star panel of speakers, including internationally known “Gangsta Gardener” Ron Finley who reminded residents that “growing your own food is like printing your own money”. The Healthy Central Florida workshop also featured national walkability expert Mark Fenton, behavior-change marketing specialist Peter Mitchell, known for the “truth” youth anti-smoking campaign, and workplace-happiness advocate, Mark Freid. The goal of the workshop was to inspire local nonprofits to design programs to make our communities the healthiest in the nation. Finley’s mission is to transform inner-city “food prisons” into “food forests” or bastions of self-sufficiency and healthy habits. Funding is available in all of Healthy Central Florida’s four key areas: physical activity, access to healthy foods, smoke-free public spaces and happiness and social connections. Ten winners will be notified later this month. “We look forward to distributing grants to innovative programs that will not only improve health in the near term, but change our environment to support health in the long run,” said Jill Hamilton Buss, executive director of Healthy Central Florida. Click below to view highlights from the event and to read presentations from the workshop.